Hiring great software developers is a huge challenge. Actually, this is the biggest challenge (tech) companies are facing, according to the State of Software Development 2017 report. The report also uncovered the most efficient ways tech leaders are using to hire developers. This post features the most popular 4, offering some tips you can use to get developers on board. 56.3% startups have already outsourced software development to a freelancer or a software development company. It turned out that 76% of them were satisfied with the results. Outsourcing software developmentcould be one way to handle a hiring challenge, especially when you need a temporary team scale-up for an important project. Technology provides many options to increase the effectiveness of remote work. The best software development agencies work more like a remote team interacting with your core team. Cost-effectiveness: Outsourcing to lower cost of living countries means lower software development costs. Lower operation costs: You don’t have to provide the necessary equipment (computers, peripherals, etc.) for the developers since the software agency will take care of it. Less administration: Finding the appropriate person is a long process and there is also onboarding and other related administration tasks. Flexible: You can easily scale down or up your workforce depending on the changing workload. Communication is a bit slower: When you work with someone who sits next to you, it’s much easier to talk with her in person than via chat or phone. Significant time zone differences can also be an issue. To mitigate these disadvantages, set up a channel to communicate during the day and make sure to schedule regular calls. Demands more coordination: Working with a remote team demands more coordination. You need to communicate clearly and regularly in order to keep the project on track. Cultural differences: If you find an outsourcing partner far away on the globe, cultural differences can be an issue that could slow down the project. Mutual understanding (language barriers) and business ethics play a crucial role here. One of the most efficient ways tech companies hire developers is through personal connections. More than 30% of tech leaders say this is their most effective method. It’s not only effective but also the quality of applicants are much higher since no one wants to refer a bad developer to risk his own reputation. One of the simplest ways to go through your network is by using LinkedIn. See developers in your network and shoot them a message. If they’re not open for new challenges, ask for a referral. Chances are they have a developer friend who is looking for a job and could be a good fit. Also, don’t be shy to find people who probably work with developers or have an extensive network of developers. But, what if you have a small network and the only connections you have are through your family members? You guessed it, grow your network. Locate meetups, conferences and other events where developers hang out. There are many of them; just check out meetup.com. The most efficient way to hire software developers is through employee referrals. Referred employees have higher retention rates and are more engaged. When someone is about to join a new company, there are many questions people want answer for. What it’s like working for that company? What is the company’s culture like? The mood in the office? Colleagues? If you have a really great company culture with satisfied employees, they are the best advocates to spread the love about your company and refer some talented developers. They can answer every pressing question a new candidate wants to know, and it’s coming from a trustworthy source. You can also work with recruitment agencies or headhunters to find a software developer with the desired skills. All you need to do is to provide clear requirements for them to deliver relevant candidates. Recruitment agencies and headhunters usually don’t charge in advance but rather after each successful hiring based on the candidate’s salary.  Hungry for more? Check out Usersnap's guide on hiring developers! Hiring developers is one of the biggest challenges tech companies are facing, but there are many ways you can overcome this challenge. If you don’t want to worry about hiring and other related administration and the workload is fluctuating, then hiring a software development agency could be an option. If you have time, you can go through your own network, asking your former colleagues and friends for a referral. 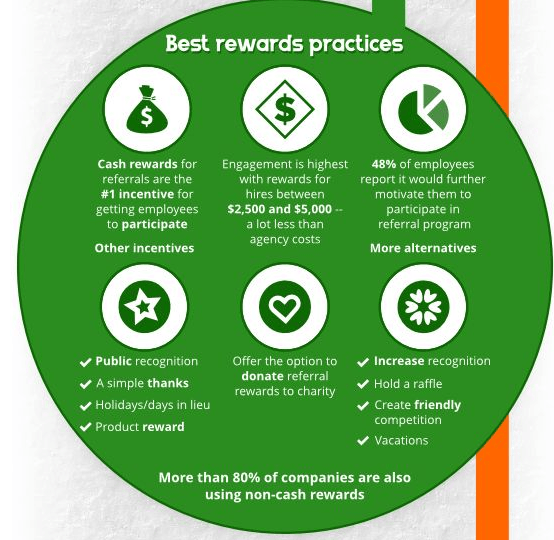 If you already have some employees, you can start a referral program so they will be more incentivized to refer their friends. Another option could be to hire a headhunter or a recruitment agency. They have an extensive network and expertise to find the developer you need. © Copyright 2019 Coding Sans Ltd. All rights reserved.